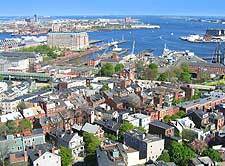 Boston, MA, is a relatively compact city and most of the major places of interest are conveniently within walking distance of each other. This is an especially historic city, being first settled in the early part of the 17th century and incorporated as a city in 1822. 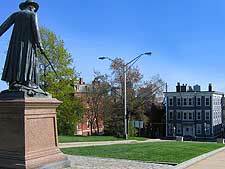 Regarded by many to be nothing short of the New England capital, Boston comes with many different neighborhoods, a number of which have become famous in their own right. The most prominent of these include the districts of Back Bay, Beacon Hill, Charlestown, Chinatown, Dorchester, Fenway-Kenmore, Hyde Park, North End, South End and West End. Downtown Boston is where the bustling Financial District is based, being home to gleaming high-rise buildings that combine to make the city's distinctive waterfront skyline. Various tourism offices are present in the city and its suburbs, with the Boston Common Tourist Information Center next to Tremont Street being a safe bet. Others include the Boston National Historical Park Visitors Center, across from the Old State House, and the Cambridge Office for Tourism Information on Harvard Square in nearby Cambridge, close to JF Kennedy Street and the popular Atrium Shopping Center. Tourists and business travelers will find that there is a wide selection of Boston hotels available to suit every taste, although it will soon become clear that the accommodation ranks amongst New England's most expensive. The peak seasons in Boston include the college graduation weekends, which take place each May, along with the summer holiday period and early autumn, when trees are dressed with their striking New England fall colors and admired by crowds of camera-wielding onlookers. If you are planning your holiday or visit on a tight budget, then consider arriving in winter, when hotels are known to discount their prices considerably. Alternatively, choose business-orientated hotels, where weekend rates may be more favorable. If you choose a hostel during the summer time, then it may well be necessary to book your bed several weeks in advance. Consider staying in the pleasant South End area if you prefer more intimate B&B style accommodation to large, less personal hotels. Alternatively, you can always find a great choice of apartments in the many unique neighborhoods. 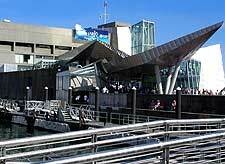 The whole of the Greater Boston area is served by an excellent transport system, including an underground railway - the 'T', which is perhaps the easiest way to travel into and around the city, being operated by the Massachusetts Bay Transportation Authority (MBTA). 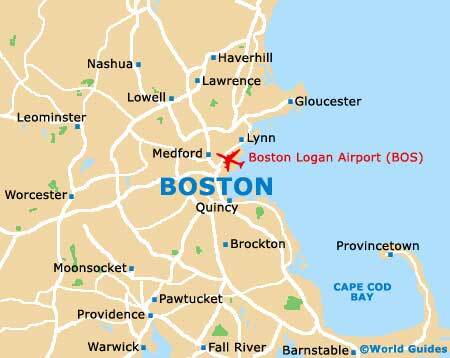 Logan Airport, handling over 60 airlines, is located close to the harborside area and can be quickly reached by the subway. 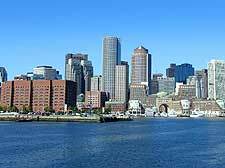 An American travel information magazine recently named Boston as the seventh most popular city in the world. One reason for this deserved popularity is the tangible sense of history to be found here, unlike most other American cities. In many ways, this iconic city could be described as the birthplace of the United States. 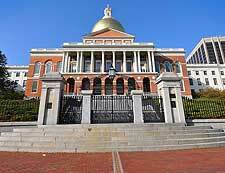 Boston is a city that is very walkable, and most of its attractions fall within an area of just 8 km / 5 miles. 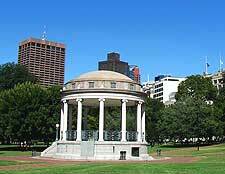 Although encouraging economic growth, Boston retains much of its historic beauty. Celebrated for the role it played in the American Revolution, the city is justly proud of offering something for everyone, from museums to professional sports, and from the freshest of seafood to the finest Italian cuisine, this is certainly not just a wonderful place to visit, but it is also a great base to start exploring New England. When it comes to sightseeing in Boston, visitors will discover that the majority of the top attractions radiate outwards from the Common, being based around Beacon Hill, the exciting Chinatown district and throughout downtown. If you are feeling hungry, the Back Bay and South End district are both equally good places to look for somewhere to eat. One of the best ways to explore the city is by following the renowned Freedom Trail into the North End, which takes in sights such as the New State House, the King's Chapel, the Old South Meeting House, the Old State House, the Paul Revere House and the USS Constitution. 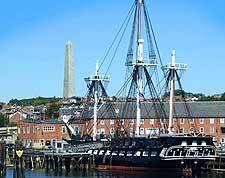 More information about Boston Tourist Attractions. There are world-class collections in both the city's museums and art galleries, and visitors will find everything from the finest in international dining to shopping that extends from great bargains to the ultimate in chic. Boston is also home to some top sporting teams. The Boston Celtics are America's most famous professional basketball team and few teams have a more illustrious history than the well-known Red Sox, New England's one and only major-league baseball team.